Summer is for camping and playing outside — way past bedtime. 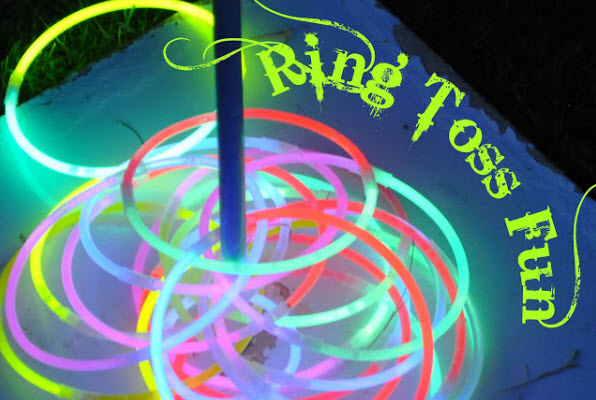 Add to the nighttime fun on camping trips or in your own backyard with these glow-in-the-dark toys and games. 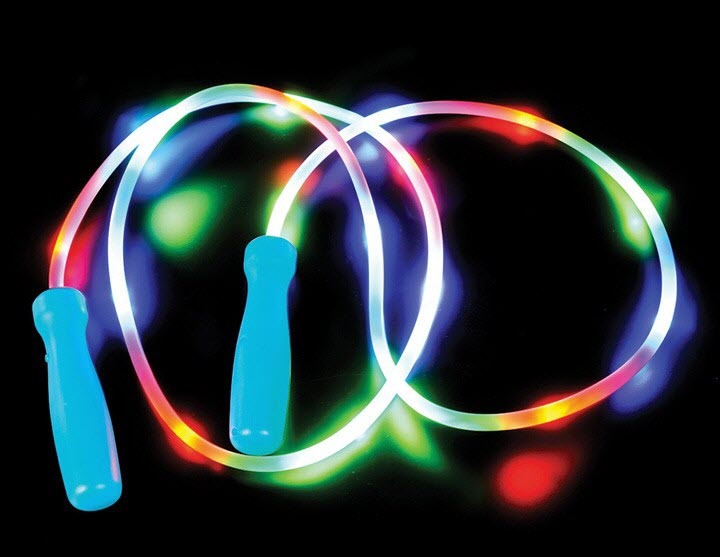 From LED game balls to glowing slime and flashing jump ropes, you can light up the night all summer long! These birdies not only fly, they glow! Badminton is a great game to take camping, as it can be played by kids and adults alike. Simply insert mini glow sticks into each birdie and you can play all night! 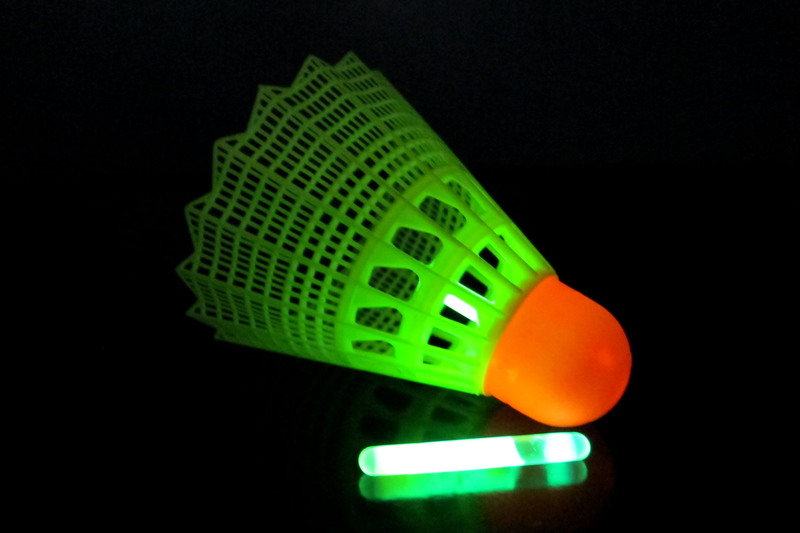 These badminton glow shuttlecocks from GlowProducts.com come with two bright green mini glow sticks that last 24 hours. 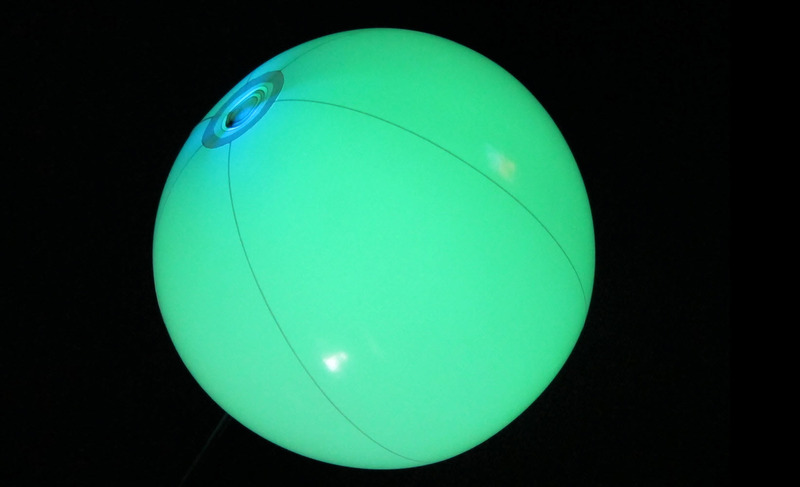 These water- and sand-safe glowing beach balls, from GlowProducts.com, aren’t only for the beach. Each inflatable beach ball comes with one glow stick, but you can use your own and choose which color you want the ball to be. Use these for play or float a few in the pool for a unique decoration at your next pool party. What could possibly be better than bubbles? Glow-in-the-dark bubbles! 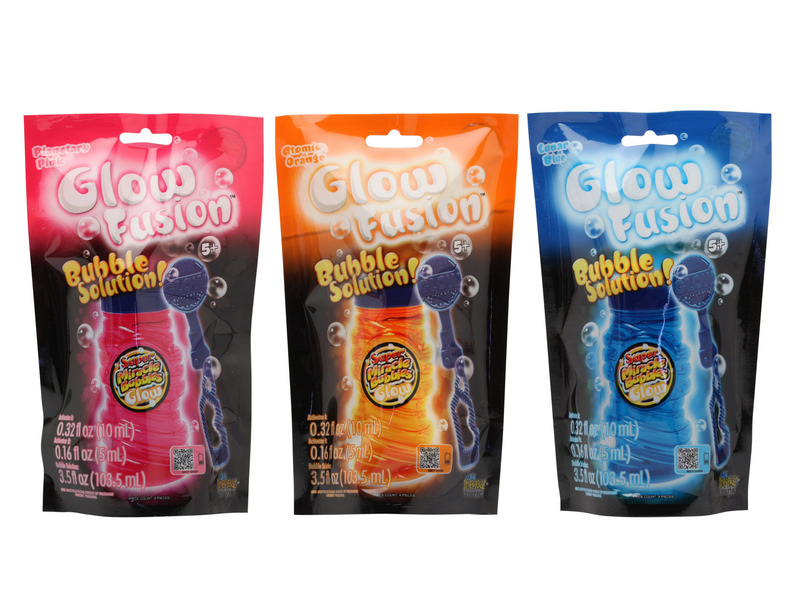 Let the kids blow bubbles after dark or fill your bubble machine with Glow Fusion glow bubble solution. Simply add the activator to the solution for an outrageous glow! These bubbles come in three great colors: Planetary Purple, Lunar Blue and Atomic Orange, from Imperial Toys. How about some light-up accessories to go with all the other glow gear? These 14-inch LED light-up hair clips come in a pack of six on Amazon.com. The battery has an on/off switch, and the light changes colors for a rainbow of fun! Just be sure and turn it off when playing hide 'n seek! 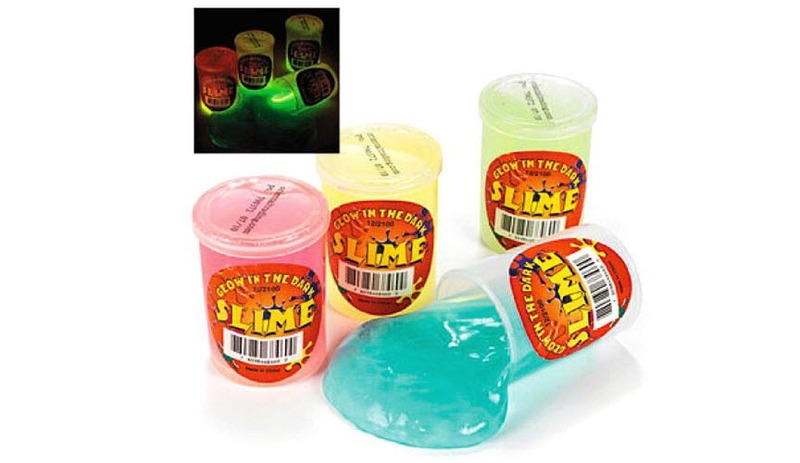 For some slimy fun, try this glow-in-the-dark slime! The “glow” substance needs to be kneaded in before using. Each order from Oriental Trading comes with a dozen 2.5 inch containers of the oozy stuff. But keep that slime outside, because the product label warns that this glowing goop can stain. If you have a Star Wars or Star Trek fan in your house, these moon blaster guns from Gadgets and Gear will be a hit! This blaster not only glows in the dark, but also shoots balls that glow as well! The balls are even soft enough to be used indoors, day or night. Order a couple of these and have an epic space battle in your backyard. 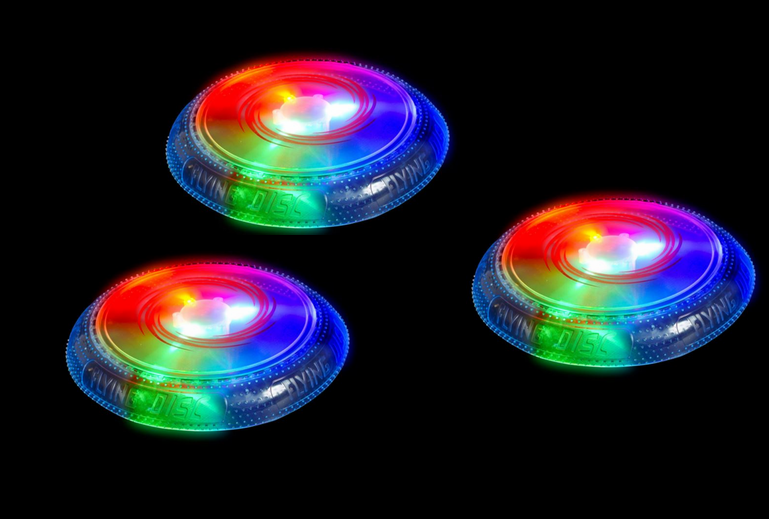 Your game of Frisbee doesn’t have to stop at night with this fun disc from Gadgets and Gears. Turn on the LED disco lights in this perfect camping toy, party addition, beach game and play on even after nightfall. Just don’t be so mesmerized by the light show that you forget to catch! Seriously! It’s after dark and the kids are still up. Wear them out and make exercise fun with this LED glowing jump rope from Gadgets and Gear. This 100-inch rope is constructed of plastic tubing with LED lights inside. 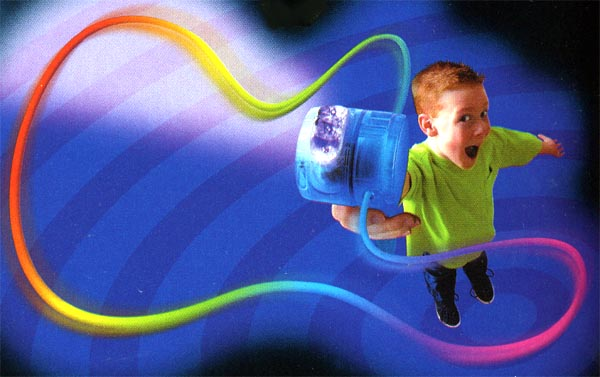 Push a button on the handle to activate the multi-colored light display, and jump away! Create designs in the dark with the Amazing String Thing. Use the hand held wand to make the string crawl, spin, and dance. 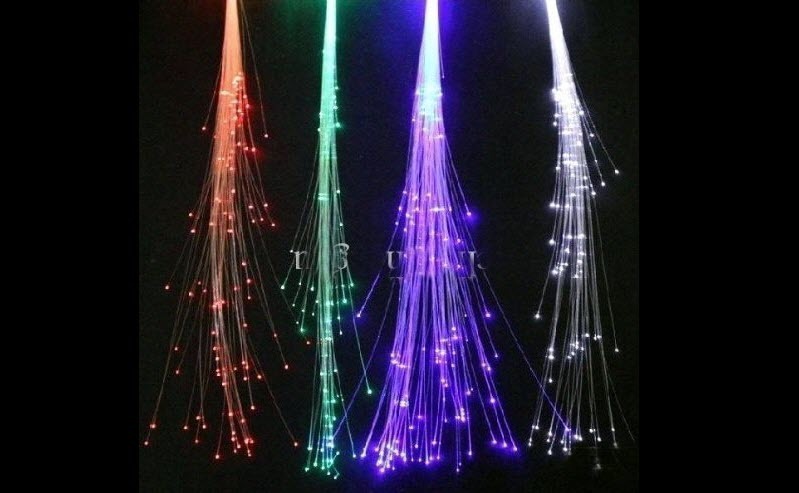 The built-in black light makes the string glow in a rainbow of colors. Check out the video on the Gadgets and Gears website to see how it works. Party, anyone? The game of volleyball is way more fun in the dark! You can play on long after sunset with this LED light-up volleyball. These balls are standard size and come with two LED inserts with replaceable batteries. Each LED insert will glow for 24 hours so you can spike and dig all night! 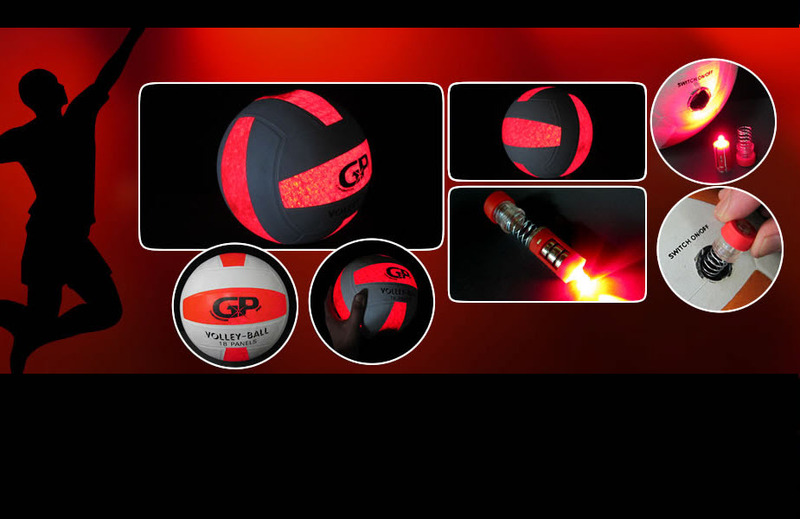 Check out Glowproducts.com for other LED game balls such as footballs, soccer, golf and basketballs. Looking for a quieter, more cerebral night game? 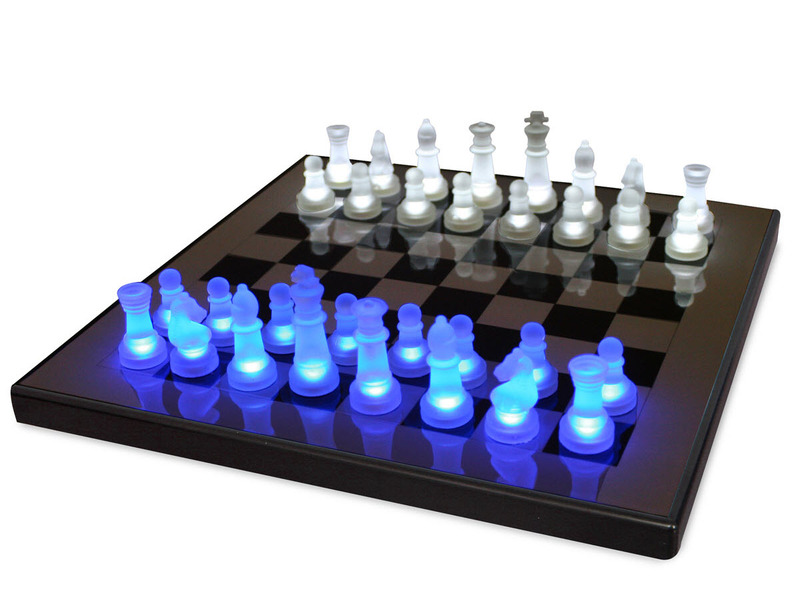 Look no further than this LED glow chess board from Gadgets and Gear. The board itself has a mirrored surface, and each piece is embedded with an LED light. Just plug in the board or use the battery pack and the pieces will glow while in play, or even within four inches of the game board. Why should humans have all the fun? 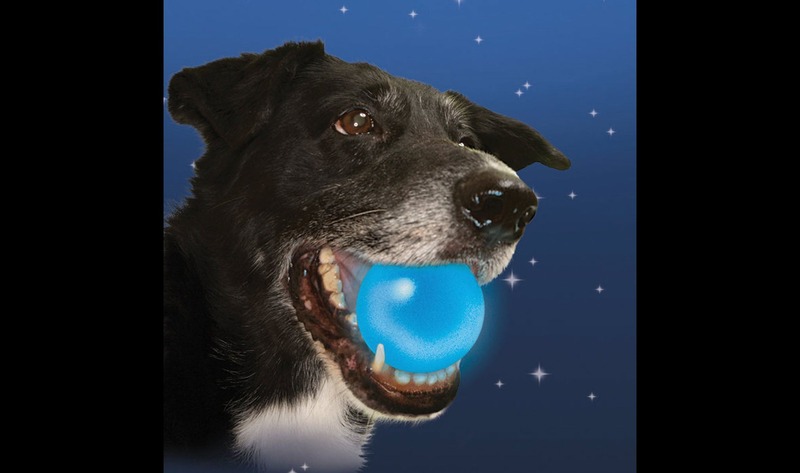 Exercise your dog after dark with this K-9 nighttime LED dog ball. This tennis ball-sized toy from Gadgets and Gear is activated by pushing a button to turn on the glowing LED light. It’s even water-resistant, durable and it floats.